The holiday season is fast approaching, and this makes for an expensive time of year for many homeowners. 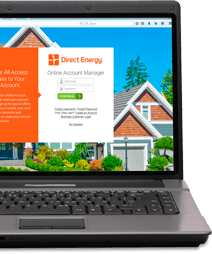 The season's additional shopping, travel, hosting and gift-giving all add up, and so do the bigger energy bills that come with heating a home during the coldest months of the year. Adorning the house and trees around it with electricity-sapping decorations of all varieties doesn't help either. Fortunately, increased electricity costs are not a requirement of the season. Here are eight ways for you to cut your home energy usage during the holidays without being a "Grinch." Christmas tree lighting definitely increases the season's electricity bill, but replacing incandescent holiday lights with energy-efficient LED lights can help. ENERGY STAR® qualified LED lights use 70 percent less energy while providing a brighter light. They also remain cool to the touch and are not made of glass or filament, making them safer for children. In addition, these bulbs also last 10 times longer, ensuring homeowners will have an energy-efficient solution for many years to come. This year's most special gift may not be sitting under the tree - it may be the tree itself. A modern fiber optic Christmas trees presents an energy-saving alternative, as the light comes from energy-efficient LED bulbs. This gives you the same look for much less energy use (and much less cleanup when the holidays are over). One of the simplest ways to cut your energy bill is to limit electricity usage to periods when the decorations may be fully enjoyed. Using automatic timers to turn lights off at evening's end is a good start, and you should also consider turning the lights off when you're home alone. This saves the lights and the electricity for a time when more can enjoy it. A brightly lit Christmas tree always looks more impressive when it's the only light source in the room. Fortunately, it's also more energy-efficient. If the tree is going to be lit, turn off other lights in the room so the tree can be fully enjoyed and energy usage can be limited. Not all illumination has to come from decorative lights. 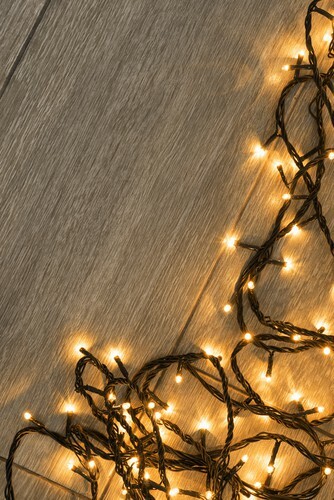 Festive options such as ornaments and tinsel have highly reflective properties, making them the perfect complement to traditional lighting options. They're also just as bright at night as they are during the day. Candles have been used in holiday decorating schemes for generations, and they're also an efficient lighting alternative. Light some candles in the evening for a calming motif, but be sure the candles are kept out of reach of small children and pets. Finally, remember to extinguish them before going to bed – safety first! Or for additional safety, you could always purchase a few flameless candles: all the same ambiance without any worries about spilt wax or nearby fabrics catching on fire. About 40 percent of all batteries purchased during the holiday season are for decorations and gifts. This year, consider energy-free options for both, or add recharging stations to curb unnecessary waste. A bow, wreath, or line of garland can convey the holiday season just as well as any light. The holiday season is fast-approaching and homeowners who act now to lower their seasonal energy expenses will help increase their holiday budgets for gifts and fun activities.